Celebrate Bristol Bites’ fifth birthday with our MASSIVE competition! I’ve had a lot of support over the years: Bristol-based food and drink businesses who have given me details of their exciting news to share on the site, the thousands of readers who keep the site going, restaurants who have invited me in for review meals to help to spread the word about their establishments, and of course Chris Brown, previously of Bristol24/7, who gave what was a basic blog a complete overhaul a few years back to turn Bristol Bites into something that was far easier to manage and to navigate. I then went through a further redesign at the end of 2014 to take the site to where it is today. Thank you so much to all of the above businesses for donating competition prizes! So…how does the competition work? It’s simple: all you need to do is to leave a comment below with your feedback on the Bristol Bites site: what do you like/not like? Are there any changes you think I should make? Is there anything else you’d like to see on here? The names of everyone who leaves a comment will be put into a hat, and winners will be drawn one by one (be sure to leave a valid email address when you comnent so I can contact you if you win!) The first winner will be given 24 hours to pick a prize of their choice – if they don’t respond within 24 hours, I’ll move onto the next person who is randomly picked. We’ll then keep going until all of the prizes have been awarded! 211 Responses to Celebrate Bristol Bites’ fifth birthday with our MASSIVE competition! Find your site useful. I think more reviews would be good and, especially, a more up-to-date what’s on guide (restaurant events etc frequently seem to be missing ). I use Bristol Bites for all things food in Bristol, it is my go to, I love the honest reviews and the announcements of new places. In fact I have booked tables in places from seeing reviews and announcements on this site. I loved the Live for Less challenge and it inspired me to try a few things. I would love to see an on going best breakfast/sunday lunch section if possible. Always the first food blog I’ll read when a new place opens in Bristol. The independent go-to reviewer for the city. Been a pleasure to see BB grow from strength to strength, long may you continue. Been reading your site for a good few years. I think that previously there were more frequent reviews and for a while this seemed to really slow down, I think though that this has improved a bit recently. It’s always been a good resource but doesn’t quite feel like the go-to site it used to be when I was looking for somewhere to eat a few years back. In terms of the site itself I think it really needs a much cleaner design with more focus on the content. The most recent updates have made the site really difficult to navigate. For example, from this page how is a user supposed to navigate back to the home page (or to any defined section). Sorry – i’m a web developer so these things irk me a bit! Happy Birthday Bristol Bites! Find the site really useful and entertaining. More frequent updates on new openings/closures and of what’s on would be great. I appreciate the announcements of new restaurant openings, particularly the background info about who the owners are/ their previous ventures in Bristol. It helps to know what to expect and to get a bit of a buzz about the place. Also, because you review new places so promptly your site a great indication of where to hurry up and book! I’d agree with the comment above – a series of ‘best breakfast’, ‘best steak dinners’, ‘best set menu deals’ etc would be a great resource. Thanks and happy birthday! Hello! I’m new to Bristol and therefore to your site, but I’m already loving it. When you’re new in a city it’s really nice to have some way to check out the quality of bars/restaurants before going and spending your hard earned money, so that’s my favourite section so far and I can’t wait to discover more! A fantastic website that helps local businesses, new and old people in Bristol. If you are new to Bristol it is a friendly website to help you get around and choose the best places to eat! Emily is always so friendly and helpful ! The website is easy to use and navigate and definitely has come is constantly striving to improve! Always use this site for foodspiration. I feel we have very similar tastes. I love going out for meals, it’s exciting trying and finding new places to go and go back to. And you’re site helps me make great choices. I like the site and has been great finding out what new restaurants are opening and have managed to go to some great events that I found on here! My go to place for food and drink exploration. Although I love the site, it’d be great to navigate it easier and find the content I’m looking for (deals for instance I normally google instead to find). Also might be good to set up a weekly email about what to see and do at the weekend. Email me if you want some (free) help with that. Absolutely love Bristol Bites for honest, accessible and concise reviews. Bristol Bites is a platform for highlighting Bristol as a Foodie haven. I will always consult the blog before eating somewhere and it has even inspired me to start up my own little blog. Would be interesting to see more recommendations and comparisons perhaps eg. highlighting other restaurants you might like if you like this one or going back after a year to see the difference if there is one. Happy Birthday Guys – Here is to five more years!! Love how Bites has evolved over the years, mainly to sheer determination by Emily. The only suggestion I’d like to make is that the ‘Shop’ facility could allow us to buy selection local produce from local businesses, such as ciders, jams, cakes, wines and even cheeses if possible. Oh – and maybe a list of food-related shops and online Bristol businesses where you can buy items with Bristol pounds to help support the local economy? Love the site! where else would one go for an independent view of the restaurants in Bristol? Would maybe like to see more comment pieces on aspects of food, or new food discoveries. But thats probably just me 🙂 Keep up the good work! Great website for independent reviews and a diverse look at Bristol food. Website itself could be a little cleaner/ easier to navigate, but apart from that it’s great! I loved this site for the direction it gave me as a major foodie moving to Bristol, who had many needs of knowing what places were worth checking out! There’s not a lot I don’t like really, but I suppose it would be nice to see more images to give an indication to your exploring the city? But I imagine you don’t want to be seen too much so people don’t get nervous when they recognize you in their establishment! Having a more digitally and beautiful imaged website could be nicer to view – but it’s practical at the moment which works well too. I love the fact I’m from Cheddar so it gives me a great idea of where to go when I pop into Bristol, have found some right gems thanks to you. Congratulations on reaching the 5 year mark! I find this websites a real gem when it comes to finding out about new places to eat and drink in Bristol. I probably spend far too long scouring through the reviews on a daily basis! Especially useful as I’m vegan, so it’s nice to see where’s easiest for me to eat good quality food with knowledgable staff. I do love reading the reviews, so if anything I’d like to see more of them if possible! Many congratulations on the 5th anniversary of Bristol Bites! It just shows that if you start something, things can grow and who knows where it will lead! I love the site and how it’s developed and trust your judgement in your reviews. In terms of future developments, maybe, I’d like it Bristol Bites to be more strongly THE definitive “GO TO” directory for eating out in Bristol. At the moment, I’m never sure if I’m getting the whole picture of what might be available in a certain genre, in a certain location (although, in your 5 years, you sure have covered a LOT OF venues and blinkin’ new ones keep popping up all the time!). Here’s to at least another 5 years! Great site. I almost religiously read all your new articles when they appear in Feedly, so it’s difficult to find any faults. My only request would be more of the same please. Although an improved calendar would be a welcome addition too. Maybe a module that helps food businesses submit their events? Cheers and keep doing what you are doing! As a relative newbie to Bristol having moved here in the past two years, your site has been my go-to when I’ve looked for reputable places to eat and drink. Bristol is a lovely foodie city, and sites like yours make it all the more easy to navigate and to find out what the news is- and get to the new places before your firends do and thus have the bragging rights! Handy to be informed of places doing offers as well. I tend to use twitter more than the main website, so will click the links to find the main story if i am interested by the tweet. Thanks very much for all of your help. Eat, drink and be merry!! I love your down to earth, honest tone. Tbh I use it mostly for news about what’s opening, closing, running offers, what’s good for roasts, breakfasts etc. It’s a nice spread of places from cafes to pubs and more fine dining and is a good geographical spread. You’re more than a blog now, so would like to see more contributions from other writers and worth looking at some of the sections on the tabs to make sure they’re warranted. For example, there’s nothing in the jobs bit atm. Oh and the name’s great and your approach to Twitter is good too, lots of interaction with people and not just broadcasting. Love Bristol Bites! Maybe a running list of local restaurant offers might be handy. I particularly enjoy the reviews and notification of new restaurants on the site. It would be good if the was a section of ‘best of’s such as best Sunday lunch, best lunch with children, best lunch for under a tenner, best lunch within an hour…..you get the idea! The lists dont have to be definitive or static, just a useful place to check when you’re stuck for where to go. Congratulations on the anniversary! As a new Bristol resident, I’ve found the site really useful. Adding the type of restaurant to the map would be a handy addition. Great website with loads of info on the Bristol food scene. Love the review section and recipes are always outstanding! Bristol Bites is part of what made me fall in love with Bristol!! When I moved here and didn’t know many people, it gave me lots of “insider” tips to try. I love reading the reviews, and I really trust Emily’s opinion. Thanks for the cool recipes! Love the impartial and honest reviews – I generally entirely agree with those of places I’ve already been so know I can trust the others. More of the same please. Happy Anniversary Bristol Bites! I find this site very useful and interesting. I love the review section. I’d like more frequent updates on new places and special offers. If anyone asks me about food stuff in Bris I always ask them if they know about Bristol Bites and describe it as the principal disseminator of food related information. I only wish you would stop teasing me with new places, new menus and more options. I haven’t got the time/money/waistband slack to experience it all. I guess my only criticism is that the ‘related stories’ links and images at the bottom are often old or out of date. I sometimes click a link I’d previously missed thinking it’s something new and it’s ages old. Oh, and I miss the quiz! I have used the website a lot since moving to Bristol. The news and reviews are objective, well written and usually aligned to my views. Perhaps, now the content has grown, you could investigate arranging by locality. Keep up the great work! Always use the website to get an honest review before trying somewhere new. It’s a great website, with a real local focus that’s great. I particularly enjoy your list style features – best of burns night, jan deals, valentines etcs. As the Bristol street food / pop-up scene grows stronger it would be good to see more and more of these featured. The food photographs at restaurants can be a bit hit and miss too – probably due to low level restaurant ligting, but might be nice to see a little ring flash or something? I tend to use your reviews for places to eat more than even Trip Advisor!! Also, its great to find news of new openings in Bristol for us to try. I have been a follower since very early on and have been delighted to see the idea thrive and flourish to award winning status. I use the website and Facebook page a lot to find ideas and reviews of places to eat. Keep up the good work – you are obviously doing something very right. First of all – huge congratulations! Five years is wood, so, um, I hope you partake in some wood-smoked fish or wood-fired pizza. The best part of the site is hand’s down the What’s On section – it is my one stop shop for foodie events. And posts where you summarise things so easily – e.g. list Christmas or Valentines menus by budget, and lists of all, for example, the Burns Night Suppers out there. Oh my gosh, before I discovered you I had to search for WEEKS to find places to go for Burns Night (I’m Scottish, it’s important) – you have made my job of finding a place to partake in haggis and whisky so, so much easier. Thank you! Bristol Bites is definitely the most comprehensive food website I’ve founds for the city. It’s a great way to hear about new restaurants and what they’ll be offering. I also love the food-related news- stuff beyond restaurants. I would like to see more reviews where the restaurant doesn’t know the person is a food critic. While notifying the restaurant keeps down operation costs, keeping the critic’s identity secret gives a more accurate representation of the restaurant’s standard customer service and product. Happy Anniversary, Bristol Bites! And let me know if you ever need another food critic on staff! This website is so useful for finding out about new places to eat in bristol! Really great to have a website so focused on local food! This is a gat website and i always come on here if I’m looking for a cool new place to go. Only improvement i could think are a more simple webpage, and up to date calendar with more ‘foodie’ events. But with this, you are still great and you could happily still remain great as you are! I love your reviews and also recipes. I often find myself searching on your site for food ideas or for somewhere to go and eat! I love having a local site to refer to. Fabulous prizes too. I’ve been keeping up with your site for a couple of years. My interest had been the restaurant reviews which really help guide where is worth spending your money in a city full of amazing restaurants. BUT The way the site looks is definitely in need of a re-haul! It would be great to have a cleaner look and better photos too to make things more inspiring. I have followed this site for several years and use it as a go to for reviews and the latest news in the Bristol area. Love the website and love the deals of local restaurants being promoted. Also appreciate that the focus is on both independent and chain places, i know i can ‘t always afford to eat out somewhere too fancy so knowing where i can get the most for my money can only be a good thing! Great place to come for impartiality. Congrats to the first 5 years, here’s to many more! I don’t like Bristol Bites… I LOOOVE Bristol Bites! It’s the first place I look for reviews of Bristol restaurants, and the recipes section is fantastic! It is such an easy site to navigate too, no hunting around for hours. It’s to the point and full of information, which is fantastic. Happy 5th Birthday Bristol Bites! I adore your website – it’s a fantastic source of local foodie information with a tonne of inspiration. I love your seasonal features such as this month’s Valentines post. Great site. We visit particularly when we are looking for a new date venue or special occasion as we are big foodies and like to try new places in Bristol. The site is easy to navigate with objective and well written reviews. I especially like the embedded calendar with listings on. I use the site to decide where to go for ‘date night’ with my boyfriend, and we have discovered lots of new places through it. What I like is how regularly deals and reviews are written up. I always come up with ideas to go from your website and my friends are surprised with how many places I know of where to eat in Bristol. Happy birthday Bristol Bites! Always turn to the site when I fancy trying somewhere new in Bristol. Just last weekend your review inspired me to visit the Korean restaurant on Park Row, and it was a great choice. Would love to see more interviews with local chefs to find out what inspires them as well. Thanks for five years of great blogging! Awesome site, one of the first places I go to check out new restaurants. Great Twitter feed too! The best thing about bristol bites is that they are spot on. There are a lot of businesses trying to vie for business but reluctant to understand the needs of the customer. When they get it right it is championed to high heaven but when they get it wrong it’s put across in a respectful way. Hopefully they learn and adapt to their customers needs. Love the quality of the reviews, every one of your top rated restaurants that I’ve ever visited had lived up to your praise. I would find it easier to navigate the best options for new restaurants to visit if they were listed by genre and location. Maybe shown on a map with symbols representing the genre of restaurant. Keep up the good work! More popular than ever, it’s easy to see why Bristol Bites has done so well. It’s a valuable, user-friendly resource for foodie news and honest reviews from across the city. Long live Bristol Bites! Happy birthday BristolBites! The go to website for all things foodie in Bristol! I love this website because it’s personable, down to earth and give great honest reviews. Maybe adding a drinks section could be interesting. Latest bars, cocktails that are trending, special drinks menus etc? I personally like to see news of new openings and changes to Bristol venues – perhaps a periodic round-up of this sort of thing would be a manageable way of doing it? I used to get that kind of news from Bristol Culture too but the new Bristol 24/7 doesn’t have RSS so it’s that little bit harder to keep up with. Thanks for still having RSS! It might be interesting to see a kind of producer directory – info on bakeries, breweries, dairies etc. It’s interesting to see the combinations new café openings use – Extract vs. Clifton Coffee, Hobbs House vs. Harts etc. Happy Birthday to you! Whoop whoop! Hard to improve on – the visuals are really great! I visit Bristol fairly often and always use this site for tips on where to go based on the reviews. The sites good.more competitions would make it even better. Happy 5th Birthday. Great site to find new restaurants and reviews. Keep them coming. It’s a great site for reading about local food and restaurants. I do often feel peckish looking at it though! I love the clear and easy to navigate website. I particularly love the reviews. Happy 5th Birthday. We love your site, reliable reviews. More family friendly suggestions would be great! I am new to Bristol and have just discovered your site, but I intend to use it to the full. I would like to see more on the Best of Bristol page. How about the top 5 curries, Sunday roasts or (my specialist area) cheesecakes? Hello me babby!! I am Bristolian born and bred,but have only recently discovered Bristol Bites,and what a useful site I have been missing.I like to try new places to eat out and BB keeps me pretty much up to date. I also find the “whats on” listing to be really useful,so keep up the good work please. To coin a good old Bristolian phase,BB is “gert lush”!! A very informative site, which I have used several times on trips to Bristol. Can’t think of anything to improve.. a professional and well laid out website! Only just found your site today but have bookmarked it and put it in my Bristol file for future use,Good reviews and I will defiantly be using it again. Events, offers and vouchers would be useful! Just saw that the prize from Friska has some major catches. It really pales in comparison to the other prizes when it hinges on the winner having to advertise for them. A great range of prizes to choose from! Happy Birthday and thank for the great blog. Will be back again. Ccongrats on the Birthday. Love the reviews and thanks for keeping me up to date on the great food going on all around Bristol. 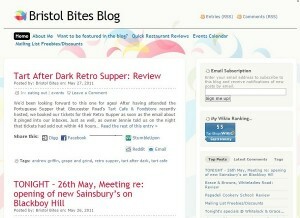 Fab site, love the reviews, so useful when planning meals out in Brizzle. Happy Birthday BB!!!! I love reading personal reviews of local restaurants – and I like getting a bit of inside information on when new stuff is opening, etc! I agree with the poster who said more Events info would be great. I use your website regularly and the reviews are fantastic at providing a clear idea about a restaurant. A more up to date database of restaurants in Bristol would be really helpful with a price guide . A map function showing where they are would also be really helpful , along with links to the restaurant menus . Happy birthday!! I’d love to win this – I recently moved to Bristol and have found BB very handy in finding some great restaurants that don’t advertise and aren’t in more generic city guides. If you were to add any features, the ability to search reviews by area and/or price would be fantastic – though I realise post tagging does go some way to doing this. Keep up the good work! I use the site regularly as since having a bbaby I seem to have lost touch with food places in Bristol and use the site to keep me up to date! Having the news fees and reviews really helps with deciding where to go! I have lived in Bristol my whole life but this site always helps me find great places to eat, the layout is perfect; informative but not an overload! I would like to see the recipe page updates by the staff of BristolBites not just the public! Happy Biteday!! A great site that provides a useful starting point when looking for new places to go! Generally down to earth solid reviews, good or bad! Keep em coming!! Happy 5th Birthday! The site is great for discovering new places to eat in Bristol, despite having lived here forever! Your reviews are great, really honest and personable, it’s always an enjoyable visit to the site. Like to keep an eye on up and coming places that I might not hear about otherwise, plus reviews on established favourites that are offering something new. Suggestion – make the site more accessible on mobile devices? Big fan of Bristol Bites – go to restaurants etc a lot on your recommendation. I think your next place to try out should be Havana cafe just along the road from The Hill. Absolutely fantastic small business with amazing breakfasts. For the future of Bristol Bites, there could be a route for readers to send in their reviews of places to eat, and whichever little business gets the most reviews that week from the public could be your next place to go to, as a result really helping them out. Having moved back to the area from living in the uber foodie London borough of Southwark, Bristol Bites has been a real gem to find the diamonds in the rough! We miss borough market on our doorstep but BB has softened the blow no end! 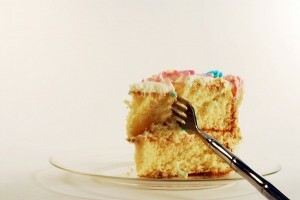 Keep on eating, tweeting and blogging guys – it’s a real treat! Love your reviews. Found some great restaurants thanks to your recommendations. Thanks. I always use your site to find out about new openings and think the food reviews seem knowledgeable and fair. I also like the competitions! Amazing 5 years well done! Bristol Bites is a great informative site and refer to it especially when I’m looking into a new venue. Have tried City Cafe on BBC recommendations had a fab lunch, would never have known about it otherwise. A suggestion? Get others to review where they’ve been with your guidance. …. A secret diner experience? I would definitely be one. I’ve found so many good recommendations through BB but I’ll just comment on the most memorable one (also one of the first I saw) – the Milk Thistle. What a place! My first visit, just after it had opened and just after you’d been there, was a revelation. After that I knew I’d have to keep reading! I really like the lists of meals for specific times of the year i.e. Christmas and Valentine’s Day. Thanks! Love the website! Always the place to come to for an honest review and to find out about new and up and coming restarunts I wouldn’t have heard of otherwise! Fantastic website, so much to read and so much information. Brilliant!! Happy birthday BB! Great and very useful site you have, especially for someone like me who’s new to a Bristol. Reviews or list of microbrewers would be great. Great website. Fab to get independent, impartial reviews. Keep up the good work! All about the reviews for me – Love em! Good impartial reviews website. More reviews to make it a more rounded review website to improve please! What a great site and essential for anyone who knows Bristol like the back of their hand or are new to Bristol! I love the news section with details of new places open and your reviews are honest, frank and down to earth. I love the site for the reviews and news. There used to be listings by restaurant type but can’t see that any more? It might be useful? Although I seem to remember the old links didn’t always work?! I’m relatively new to living in Bristol, it’s a great source of information about the fabulous foodie scene in Bristol! Great site and always spot on with reviews. Would love to see more detail about menus and if places offer gluten free options. Love this website – the first I check if I spot a new restaurant in Bristol. I really like the ‘what’s on around bristol’ timeline bar at the top of the website. One thing that maybe could be improved on is having a ‘student deals/cheap eats’ page, which would be useful for us! We live in the Cornwall and find your site really useful when we are planning short breaks to the Bristol area and looking for new places to eat. The reviews are great and it’s especially helpful being able to find out of the ordinary dining experiences. I like learning about new openings in Bristol, which restaurants are hot and what you recommend to go and explore the Bristol food scene! I would maybe like to see sections per type of food. For example, when looking for brunch places in Bristol, ideally I’d like to have a list of those you recommend specifically for brunch! does that make sense? Same for delis maybe and for afternoon tea? And what about some nice slow cooker recipes in your recipes section? 1.How about readers voting for their favourite “Recipe of the Week”? Happy Birthday to this very useful website. Thank you. Definitely too many pictures of delicious cakes! Visiting your website always makes me hungry! Only annoying things is the advertisement sidebar but I know that there needs to be advertisements to keep the website going! I love the site, particularly the reviews and calendar dates of events coming up. I find the colours of some screens difficult on the eye, but others with better eye sight than me may be fine. This page for example with different focus throughout the picture is hard to look at. The content is great though. Happy Birthday. I think this is a great site for finding out whats on. I particularly love the reviews as I always rely on these as to whether I go to a certain event or restaurant so I just think keep on with the reviews and uptodate content. love this website, its the best place for me to read local reveiws and find out whats going. I absolutely adore your website but would like to see a feature on Bristol chefs cooking their signature dish. Keep on doing what you are doing! A go to website for all Bristol foodies! I love finding out about the new venues and what’s on around Bristol. Reviews are always enjoyable to read, it would be good to be able to search restaurants reviews according to genre of food. Happy Birthday Bristol Bites ! Always enjoy reading the reviews of new places to eat & definitely take your views into account when deciding which (of the many !) new places to try. Only gripe with the site is lack of ‘home’ button from the reviews pages. Wishing you many more successful years ! Congratulations on a great site and Happy Birthday. I live outside the city now but have lots of friends and relatives there and visit regularly. I love to check out this site to see what’s going on and get ideas for new places to try when we visit. Not much room for improvement as the website is fantastic keep up the good work guys!! Hi, I love the site (I even emailed you recently about it’s future), it’s my go to guide for an honest and informative review. Eating out costs quite a lot of money and I want to be clued up as much as possible about what it’s like before I go. Also, it’s a great source of news about new restaurants etc opening up in the city. Maybe add in a top 10 list? or run your own awards? Love the site, just like reading the reviews and deciding where to experience next! Really enjoy the site. Would be nice to have different search terms for different food types and a weekly what’s on guide would be great. Also if you had a list of what offers restaurants around the city had by day of the week (ex: half off food on Mondays at x, 2 for 1 drinks on Tuesday at y) that would be really useful. Was almost going to try to compile one myself. Congratulations! I thoroughly enjoy going through he website reading the reviews as I try to decide where next to eat in Bristol. I enjoy the best of bristol section but would love to see more there, e.g. best roasts, breakfasts (which I would suggest is Havana Coffee on Cotham hill) I think you should get yourself down there and enjoy a great full English for a very reasonable price in a fantastic little cafe. My husband introduced me to this site as he is from Bristol. He always uses it for his where to go guide for when we go out and to see any recent updates or reviews incase a place has changed hands! Keep doing what you are doing, it’s amazeballs! A balanced blog full of informative, honest but fair reviews! No sensation grabbing copy but instead honest words from someone clearly passionate about Bristol’s food scene AND the people who create it! 5 years have flown past. Very useful site, particularly the reviews. As several people in our family have particular dietary requirements I find the reviews extremely helpful. Keep up the good work! I so thought I’d already entered this so apologies if there are two from me! You know I’m a massive fan of Bristol Bites, it really helped me out when we moved here and I love the fact you don’t always go for the obvious choices. Well done Emily! I love the reviews, great way to find out about my local area. The website is easy to navigate. A list of food/drink & special offers that are available would be good. I love that i have lived in Bristol the whole of my life but always find new restaurants on your site which i have never seen or heard of before. Enjoy reading your honest experiences of dining out in Bristol. Fantastic website! Me and my friends love eating out in Bristol so reviews of new restaurants is almost crucial. Personally I’d love to see a cleaner layout, perhaps with adverts slightly more hidden. Otherwise you’re doing a grand job. My only other idea was to have a featured restaurant of the week – perhaps one that is serving a particularly interesting dish? I’m a sucker for food pictures, so it’d be a good opportunity to pimp out a food venue’s latest offering. Love your ‘best of’ reviews. Always a fab go to website for local foodie info and I always recommend the site to my Air BnB guests. Looking forward to the next five years! I always enjoy reading the reviews. The site really is a fountain of knowledge and always my first port of call to check. Always on the ball for news & related gossip within food for Bristol and never shies away from a recommendation or answering questions. Congratulations! Been reading Bristol Bites for a few years now – always love the new restaurant openings and finding out where’s best to go for dinner. Reviews are also spot on too!! Very informative and easy to use website. Love the reviews of latest cafe’s, restaurants and food places – keep it up please! Bristol Bites great – full of news, latest food events and recipes. Especially useful when I have visitors and need to take them somewhere new! A good option would be to have a drop down navigation with the different areas of the city. This would be great if looking for certain eateries within an area of Bristol. i love bristol bites especially the reviews of new venues, I’m not sure if there is anything in it but have you considered a link up with yelp? Bristol Bites website is the first place I go to look for places to eat in Brizzle! Amazing resource! Less ads would be amazing, but understand why they’re there! The sites great for reviews for places I go to eat at. Maybe more of your top 5 selection (and include cider pubs ;)) would be good to see the type of place to go to when in a hurry. Overall you’re doing a great job. Happy birthday Bristol Bites! You are my go to site for where to eat in Bristol and to find new places to try. I love how you focus on independent local restaurants too. Really useful to keep up to date with new openings and news on the Bristol food scene. Happy Birthday – and keep up the good work! I’d love to see some more focus on Bristols street food scene. There are some great food vans etc popping up but it’s hard to know where to find them and on what days. As someone who only moved to Bristol a few months ago this blog has been really great for learning all the best places to eat. I’ve even managed to arrange a few catch ups with colleagues and friends and surprised them with my choice of venue as despite living in Bristol longer, they’d never heard of the place and they really enjoyed it! For me the best part about the blog and twitter page is the interactive element. BB has recommended a couple of places for me recently, from a cosy cafe for a slice of cake back in October to restaurants not doing a valentines theme (yuck) for my birthday on in February. It’s all been a big help and I feel more confident booking places following a personal recommendation. I’d love to see BB expand on the interactive side and perhaps do a Q&A section where people write in with their specification and BB suggests a few places. i.e. looking for a restaurant with disabled access/family friendly/gluten free/romantic/good for large groups etc. You could even follow it up with a brief review from them as to what they thought about your recommendation! The events calendar is a really great idea – having only moved to Bristol recently I’ve been able to find out about all the events and eateries that the city has to offer. Brilliant website, I’ve just discovered. The first site I check if I spot somewhere new in Bristol to eat out! Great website, great prizes in your competition. Keep up the nice work! I simply love the website and I have been following and a loyal reader since I moved to Bristol over a couple of years ago. You do a great job in promoting the food & beverage industry in Bristol, which is great specially for smaller business. The website looks modern and fresh, easy to read and search. My piece of advice is to keep doing what you are doing. Something for sure is right. In the past I’ve found that page loading on mobile can be slower but I’ve not had the same problems recently so it’s all good in my book. Well done on 5 years! Here’s to the next 5! Wow Emily. How far you have come in 5 years! Bristol Bites is a fantastic achievement. Your objective reviews say it as it is. I find, in the past that I often end up eating in my same favourite places. Bristol Bites is a great place to draw inspiration on where to try that’s new. Long may you continue! By the way, thats the best list of prizes I’ve seen in a while. Anyone would think you’re a competition expert! !